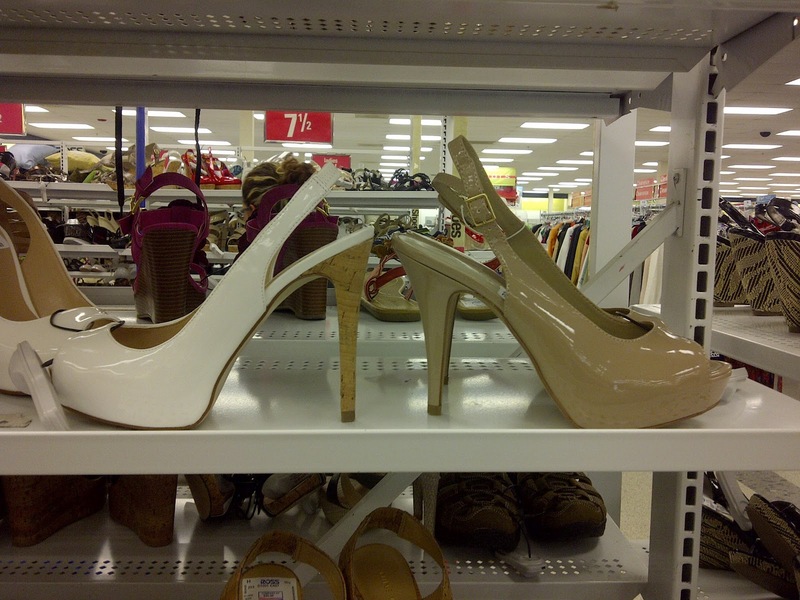 Are you a fan of Ross Dress for Less? Here in Buckhead, our Ross Dress for Less store is in a great shopping strip that also has a few home goods and crafting retailers, so for a young homeowner like myself, it's a shopping haven for someone on a budget. I love swinging in every few weeks to see what new bargains are available. From couch pillows to kitchen items, Ross always has designer and brand name fashions for men, women, kids and home - all at 20-60% off compared to department stores! Yes, please! Right now through April 30, Ross Dress for Less stores in the Atlanta area are holding their annual Shoe Event, where you’ll be able to find every style of shoe you and your family will need for the spring and beyond. Being a gal who can't resist a sale on shoes, I was sure to explore all that Ross had to offer. I am here to attest: they had some fantastic name brand deals. I can't share which brands are which, but if you know me, you know these heels were right. up. my. alley. I couldn't decide if I liked the white or beige version better. Both would be cute for work or play, dressed up with summer dresses or down with skinny jeans. I love the zip-up on the back of these name brand black patent sandals. I actually have a pair or two that look very similar to these at home. They are great for that girls night on the town, but also can be dressed down for work with a conservative outfit on top. Boat shoes, anyone? 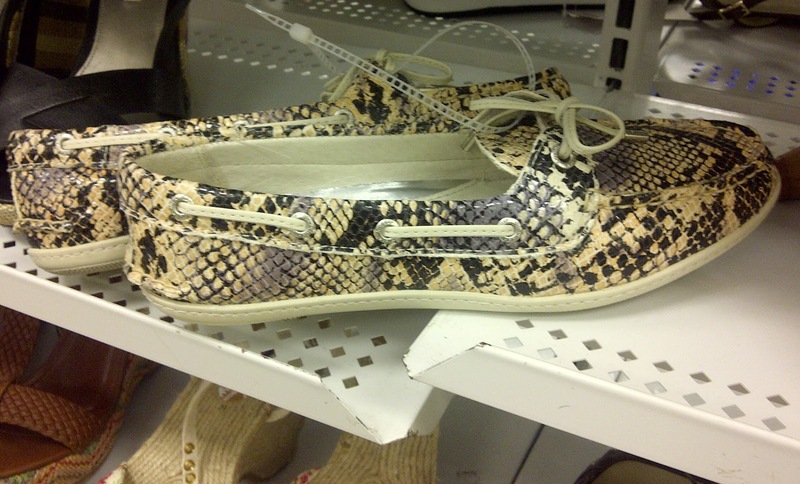 I loved these name brand snakeskin ones. How fun! These would be great with black capris or shorts and a tan top. All of these shoes run for $75+ at retail price, but at Ross, they were no more than $30! Other namebrands I saw ran for $130 retail and were on sale at Ross for only $50. All in all, depending on your shoe size and the store you head to, I can tell you that you are certain to find a great buy at your local Ross. Are you ready to go shoe shopping? Ross has been generous enough to offer one of my lucky readers a $25 gift card all your own! Enter below using the Rafflecopter widget, and I will select a winner at random. Best of luck! 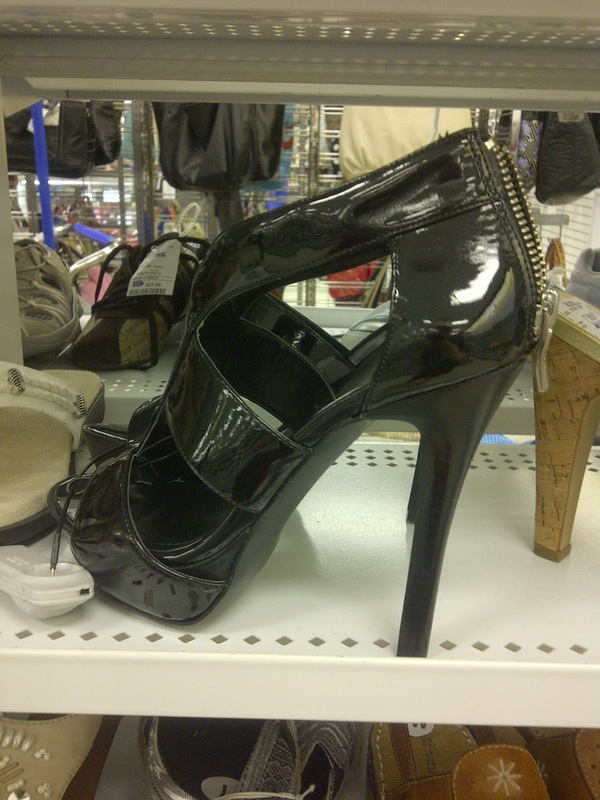 Disclosure: Ross Dress for Less partnered with bloggers such as me to help promote their annual shoe event. As part of the program, I received a gift card of my own. The winner of the giveaway in this program will be randomly chosen and gift card fulfillment will be handled by a third party. Wedge sandals are my favorite style. I'm entering on the rafflecopter with my Facebook username (Mary Happymommy). I've been on a shoe shopping spree lately so this is right up my alley! sandals or ballet flats! thanks! wedges!! Thanks for the chance to win!